Karl Kutschera completed an appren­ti­ce­ship in Vienna, where he was trained in all areas of gastro­nomy. Before moving to Berlin in 1900, he worked in Hamburg at the Hotel Hamburger Hof and as a ship waiter on the Hamburg – New York route. Several times he tried to land in America, but his efforts were in vain because he lacked the necessary papers. In 1906 he opened the Café Kutschera in Bismarck­straße in Berlin. In 1907 he took over the manage­ment of the Zatter­sall am Kurfür­sten­damm. In 1918 he bought the Union-Palais at Kurfür­sten­damm 26 and in 1919 he opened the Café Wien with a confec­tionery. Café Wien gained inter­na­tional repu­ta­tion, espe­ci­ally after he was able to convert and expand the buil­ding in 1926 according to his plans, because he had acquired the property in 1926. In 1929 he had the cellars extended and in the follo­wing year he opened the restau­rant Zigeuner­keller with Hunga­rian cuisine and „Zigeu­ner­musik“. Archi­tect Max Abicht was respon­sible for the construc­tion of the gypsy cellar. The inte­rior design was carried out by the cari­ca­tu­rist A. M. Cay and the press artist Theo Matejko. At that time, it was the largest restau­rant in terms of surface area in Berlin below the street level. In the early 1930s, Kutschera was one of Berlin’s best-known gastro­nomes. The wine restau­rant Zigeuner­keller and the Café Wien had an inter­na­tional repu­ta­tion and were a popular meeting place for the sophi­sti­cated Berlin. From 1924 to 1937 he also operated the Kurhaus Cladow in Berlin-Kladow, where he also lived. From 1936 onwards, Kutscheras and his restau­rants became victims of anti-Semitic perse­cu­tion by the Nazis, which was accom­pa­nied by a campaign of the Nazi weekly Der Stürmer. The striker described the Café Wien and the gypsy cellar as a „Jewish Dorado of the Kurfür­sten­damm“. Among others, the Gestapo and SD man Hein­rich Hamann was respon­sible for the prose­cu­tion of the Nazis. One year and several defa­ma­tory arti­cles later, Kutschera was forced to give up. In order to prevent the with­drawal of his conces­sion, he decided to lease both compa­nies to the non-Jewish co-part­ners Ernst Krüger and Josef Stüber. Soon after, the sign „Jews unde­si­rable“ was displayed above the entrances. He had the opera­ting company deleted from the commer­cial regi­ster shortly after­wards. It was there­fore not a boycott of his restau­rants that forced Kutschera to give up – his company had even been able to record an increase in turnover compared to the lucra­tive Olympic year of 1936 – but rather the pres­sure exerted by the striker on city autho­ri­ties, which was decisive for his suppres­sion from Berlin’s economic life. By 1937, its opera­tions had an annual turnover of 1.5 million Reichs­mark. 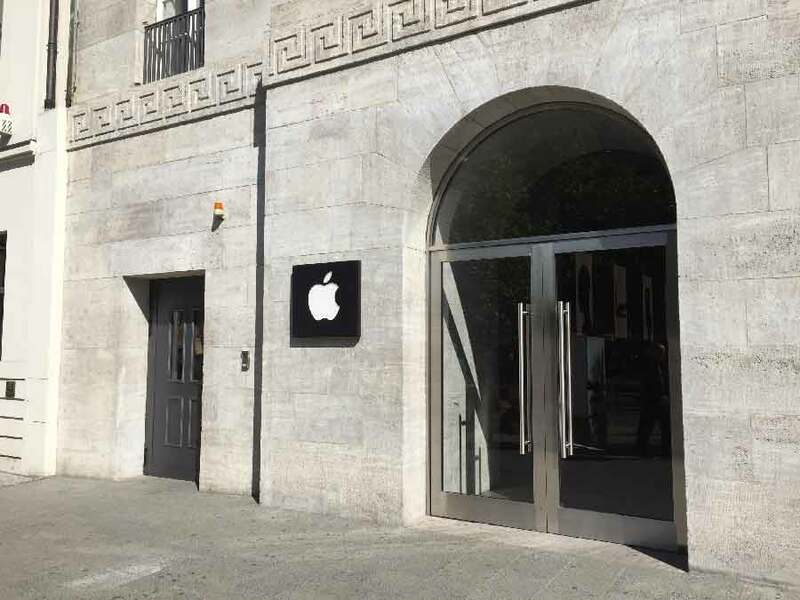 The company employed 154 employees, inclu­ding 13 musi­cians, making it one of Berlin’s most successful restau­rants. Kutschera with­drew to Kladow. The Kutschera family was deported to There­si­en­stadt concen­tra­tion camp on 19 May 1943. While Karl Kutschera and his second wife Jose­phine survived the concen­tra­tion camp, their two children, Karin-Gertrud (* 1927) and Klaus Gerhard (* 1926), were murdered in the concen­tra­tion camp Ausch­witz. The couple Kutschera returned to Berlin in June 1945. 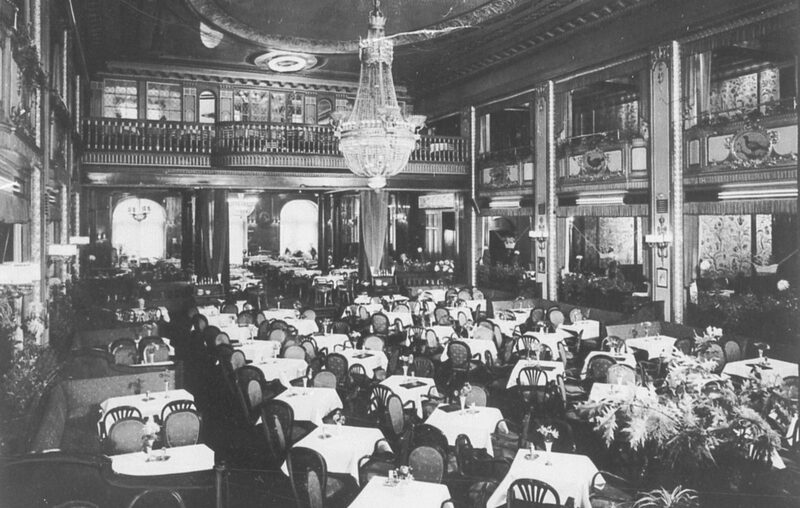 In 1946 the Café Wien was reopened while the gipsy cellar was still under water. Karl Kutschera died as hono­rary chairman of the Berliner Gast­wirt­sin­nung on 19 May 1950, after his death his wife Jose­phine conti­nued the busi­ness until the begin­ning of the 1970s. From 7 April to 3 May 2013, the instal­la­tion by artist Alex­ander Jöchl „Café Wien – ein Fami­li­en­por­trät“ (Café Vienna – A Family Portrait) was on display in the show­case of the Deut­sche Bank branch on Kurfür­sten­damm 28. This instal­la­tion was the first in a series of eight artistic instal­la­tions of the project „Spuren, Hohl­räume, Leer­stellen – Jüdi­sches Leben am Kurfür­sten­damm“. The project of the Insti­tute for Art at the Univer­sity of the Arts Berlin is being run in coöpe­ra­tion with the Archive of the Museum Char­lot­ten­burg-Wilmers­dorf as part of the theme year „Destroyed Diver­sity – Berlin 1933 – 1938-1945“. Elisa­beth Weber: Die Kutschera-Betriebe. ”Café Wien” und ”Zigeuner­keller”. In: Chri­stoph Kreutz­müller, Kaspar Nürn­berg (Hrsg. ): Verraten und verkauft – Jüdi­sche Unter­nehmen in Berlin 1933 – 1945. Berlin 2008, ISBN 978 – 3-00 – 026811-3, S. 44 – 48. Chri­stoph Kreutz­müller: Ausver­kauf. Die Vernich­tung der jüdi­schen Gewer­be­tä­tig­keit in Berlin 1930 – 1945. Metropol Verlag, Berlin 2012, ISBN 978 – 3-86331 – 080-6, S. 152.